In KUA-PPAS meeting with Social Dept. on Tuesday (7/11), City Council Commission E requested to increase Jakarta Elder Cards (KJL) receivers quota.
" We ask Social Dept. 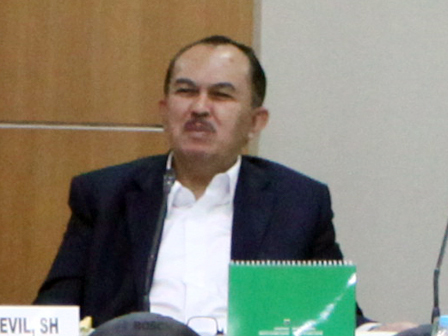 to increase the card receivers quota"
Commission E Secretary, Veri Yonnevil said, it is noted around 8,200 elders in Jakarta will receive KJL in 2018. In the future, each elders will get Rp 600 thousand per month. "There are tens thousands of elders need our assistance. We ask Social Dept. to increase the card receivers quota," he mentioned. Jakarta Social Dept. Head, Masrokhan said, KJL receivers must be elders above 60 years old and don't have any skills. But for productive elders will be given certain training. "We will give certain training for productive elders thus could obtain skills," he closed.